I found out about our newly designed currency today purely by accident. In fact I discovered it on an American site - Sub Studio. A 26 year old designer Matt Dent has won a competition, held by The Royal Mint to design our new currency. 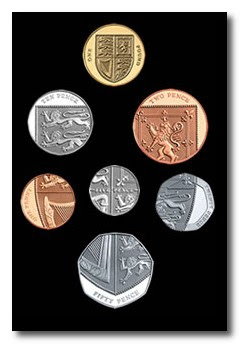 He took the Shield of the Royal Arms and spread the design over each piece of currency and came up with this - SUPERB. Oh wow! Is this true! These are stunning and original and make me proud to be British. I hadn't heard about them either! They are beautiful. As for Paola, have you looked at the euro lately? 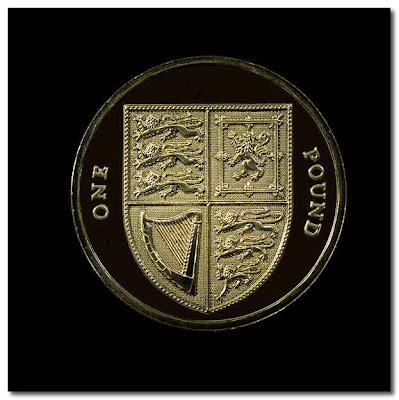 The coins are even worse than the American ones, particularly the one and two-centime coins, which are tiny. Of course since the euro trumps all other currency at the moment, guess they think they can afford to be contrary with the centimes. I have to say I haven't heard about them either, but they are stunning!